Are you going to be a mom soon? If yes, then you have landed on the right page. 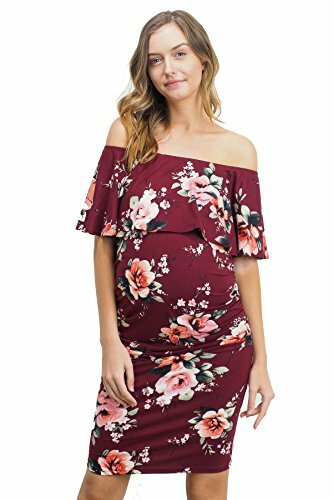 We have listed dresses for pregnant woman. Women pass through some tough time of their life while being pregnant. They have to take good care of themselves and their little guest which is about to come to this world. But women also have a social life which cannot be avoided or ignored. Obviously becoming a mom is the most exciting feeling on earth but, this does not mean that you have to restrain yourself to your bedroom. While being pregnant, you have to go to the market to get groceries, have a visit to your doctor, go to the beach with your friends, attend an evening dinner or some formal gathering related to your husband’s office parties. All these events require some proper outfit suitable for the occasion. We have listed dresses for pregnant woman. Following is the list of some suggestive dresses and shirts appropriate for pregnant women. This beautiful top is made of comfortable fabric containing polyester and Spandex combination. An extendable elastic bungee is provided for extendable fitting. Two front pockets are available. Half sleeves and available in three different colors, this top is a perfect choice for ladies. 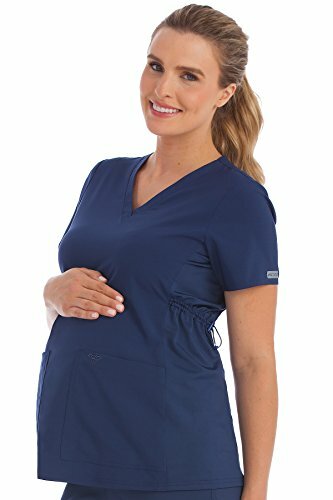 A delicate and comfortable fabric, very soft and smooth for skin, this maternity nightgown and dress is made of cotton and polyester combination. Two straps are provided at sides for adjustment as per body requirement during pregnancy. Comes along with it a comfortable PJs also for during and after pregnancy. This beautiful dress makes you look more charming during pregnancy because of its adjustable perfect cuts and curves. A comfortable V-neckline, smooth and soft fabric in white graceful color makes it very much comfortable to wear and it is suitable sleepwear as well. 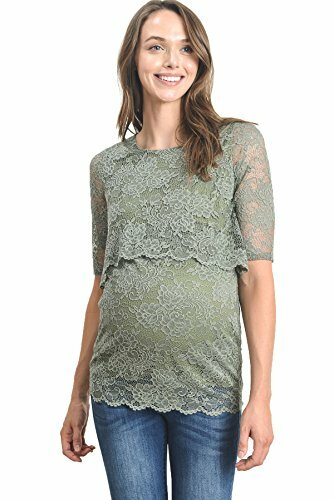 Made of soft stretchable lace fabric and is a perfect choice for breastfeeding moms. Easy to open front is totally adjustable and makes baby feeding completely comfortable and breathable for the little fellow. The neckline is round and comfy. This beautiful dress is a good choice for moms who breastfeed their babies. A comfortable top, this double neckline dress makes it quite easy to breastfeed your baby at all times. Round neck and long sleeves make it a perfect choice plus it is also machine washable. 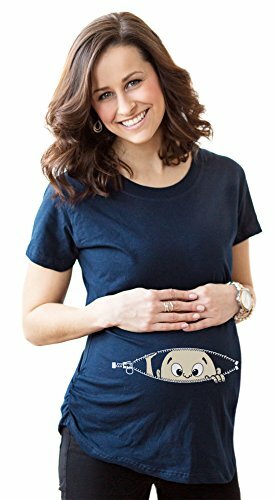 This cute top is quite interesting option to buy because of two cute baby footprints printed on the front of the baby bump. An extra length of fabric is available for a flat of tummy look during and after pregnancy. A soft and delicate fabric easy for skin and body, this top is available in two different colors. Super comfortable and perfect fit, this gorgeous sleeveless top is a good option to buy especially for the summers. Available in a huge variety of colors, the soft and delicate fabric is suitable for outdoor occasions as well like grocery or morning walk. Round neckline makes it easy to wear and quite comfy. This shirt is another attention seeking item to buy. A cute little baby is peeking from the front baby bump making it cute and funny. Fabric is soft and comfortable. Short sleeves make it easy to wear and do household work as well. This shirt is available in many different bright colors and is machine washable as well. This floral dress is a good option to buy because of the interesting and bright colored flower pattern printed on it. 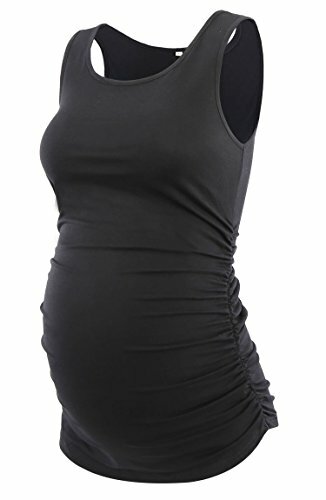 The material is soft and stretchable and the length is perfect for pregnant women. The dress is suitable for baby showers and is a perfect gift as well. 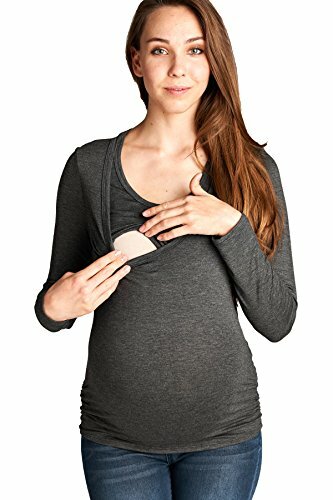 This cotton shirt is good for breastfeeding. The material is blended cotton, soft and comfortable to carry on all possible occasions. Stretchable, elastic waist and long sleeves make it perfect a choice for winters. This shirt is available in different colors and it is machine washable also. This dress makes you look like a fairytale character or a princess. The material used is blended polyester which is much comfortable and soft as well as breathable for every occasion. 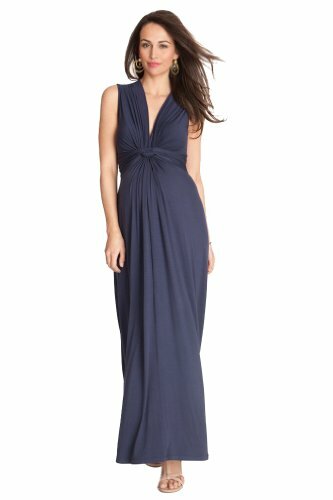 The strapless, Off-shoulder long Maxi is a perfect party dress for the evening dinners. This Maxi is must go option for your maternity wardrobe. 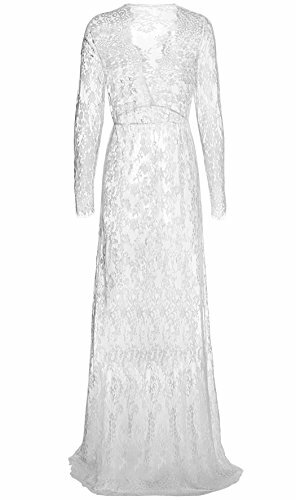 The long length maxi with a beautiful knot at the front gives it a classy and stylish look. The deep V neckline is stretchable and is quite comfy for breastfeeding as well. This Maxi is suitable for formal occasions as well.